Wanna Talk? Give us a call or send us a message, and we will get back to you shortly! 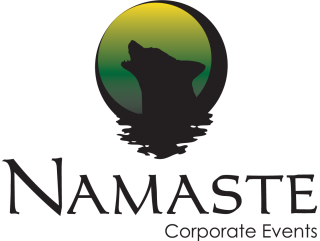 Namaste Corporate Events cc specializes in making unforgettable event memories. Organising a corporate event is a specialist affair. Namaste, an experienced corporate operator for twenty years, takes full responsibility in the organizing of your event. Backed by associate offices and active contacts in the incentive and hospitality trade across southern Africa, Namaste staff arrange all permits, bookings, transfers, transport and accommodation, diets and medical attention. YOU PUT IT ON.....WE PULL IT OFF!!!! Vox Telecom has been utilising the services of Namaste Corporate Events for approximately the last eight years and all I can honestly say is that they exceed all our expectations every single time! The team demonstrates the utmost professionalism in the execution of every event and no matter how much pressure they are under, they remain cool, calm and collected and see to our every whim, no matter how demanding or almost impossible it may sound. They tirelessly work long hours to ensure that every event runs off without a glitch and if ever there have been any behind the scenes incidents, we have certainly not been aware of them. They have a strong team with dedicated specialists – from events planning to technical, photographic, entertainment and catering – all of whom collectively contribute towards the success of this company which has become like family to Vox Telecom. I would highly recommend to any event manager or corporate organisation interested in organising exceptional and memorable events, to consider the services of Namaste Corporate Events and allow them to become part of your event planning. We look forward to a long and continued relationship with Mr Sarel Steenberg and his incredible team to ensure the continued growth and success of Vox Telecom. I have had the privilege to work with Namaste since 2004 for the planning and implementing of our major annual events. Syngenta is an agribusiness and we have amongst other events predominately made extensive use of Namaste every year with the organising and running of our channel (sales) events. We have through our working relationship over the years, tried to come up with innovative and alternative settings in which to host these sales conferences and functions. 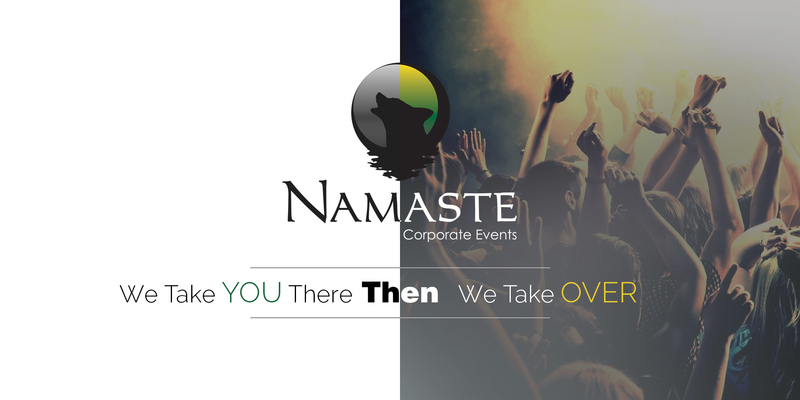 Once decided on the venue and theme, it has become a concerted team effort to “make it happen”, where Namaste has always been willing to go the extra-mile in making each event interesting, unique and enjoyable for all attending. From setting up a camp and conference venue in the middle of Botswana, Mozambique, on a farm in the Kalahari, to leading a convoy through Lesotho down a snow covered Sani Pass, no challenge has been too great for Sarel and his team. It is great working with a team who have a “can do” attitude, especially when your customers hearts and minds are concerned. 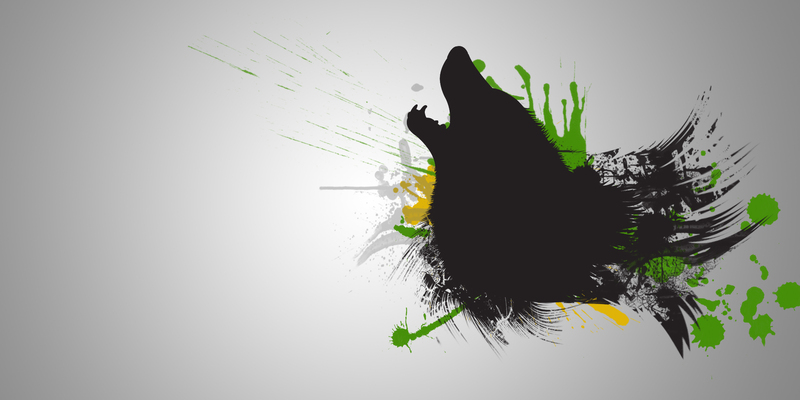 A big, very big thank you to Sarel. Jy was awesome. Dit is die klein dingetjies wat tel wat groot suksesse het wat ‘n impak maak en mense laat onthou. Vanaf die inryg van die tekkies tot by die snack packs, Annie se verjaarsdag koek, en toe kroon jy dit nog met die Pizzas laat aand to almal half honger en koud was en toe party almal weer tot laat nag. Jy en jou span het aan alles gedink, tot die musiek was so! lekker. Weereens ‘n groot dankie. Hou so aan. Thank you very much for an awesome day out with the Vox customer’s and the Jaguar team. The customer’s thoroughly enjoyed every minute of the event as compliments poured in from all around . We must definitely plan another track day event with our customers.